Diviner is the second single from the highly anticipated Forces of Light debut album, Darklights. 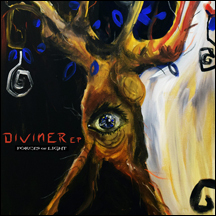 The Diviner EP features 4 versions of the title track and two versions of their first single Too Magical. Remixers for this EP include: Null Device, Resonaz Kreis, Stars Crusaders and more.